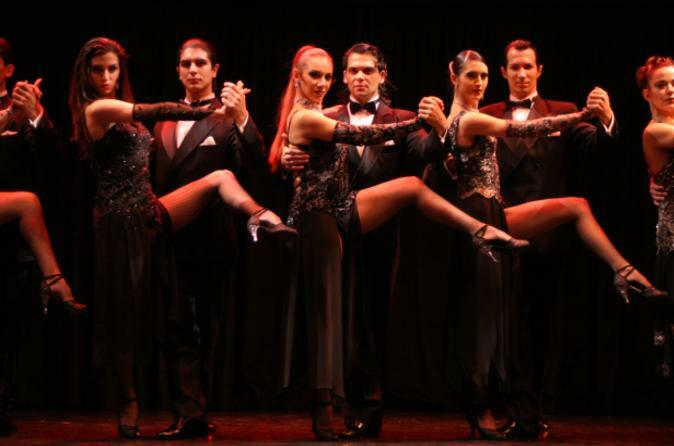 Witness a spectacular tango show backed by a live orchestra at Esquina Carlos Gardel, including optional dinner. Visit the area of Buenos Aires where the legendary Carlos Gardel once frequently performed, and enjoy an evening of tango. Dine on a 3-course meal or upgrade your show package to VIP to get the most out of your evening. This excursion includes pickup and drop-off at downtown Buenos Aires hotels. After pickup at your downtown Buenos Aires hotel, you'll be transported to Esquina Carlos Gardel for a tango show and dinner (optional). Located in Abasto, the former hangout of singer and musician Gardel himself, this dinner theater revives the golden era of tango for appreciative audiences every evening. Sit in the elegant multilevel theater to view a film about the history of tango that allows you to better appreciate the cultural tradition being kept alive at tonight's show. The dynamic 2-hour performance features dancers, singers and a live orchestra. Choose one of four seating packages below. If you opt to include a three-course dinner, you'll dine two hours before showtime (See Itinerary for a sample menu.) After the performance, enjoy transport back to your hotel. Show Only – StandardSoft drinks, water and house wine are included, as well as seats on the ground floor or in the theater stalls. Show Only – VIPEnjoy the show from a better vantage point in the VIP section. Sip complimentary soft drinks, water and house wine. Dinner and Show – StandardExperience a 3-course dinner and the show from one of the tables in the stalls section. Water, soft drinks and house wine are served. Dinner and Show – VIPEat dinner and view the show from a well-situated table in the VIP section. Enjoy more choices off the dinner menu, as well as water, soft drinks, wine and a glass of sparkling wine.